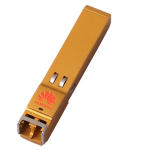 Chinese telecom equipment manufacturer Huawei has announced the signing of an HSDPA expansion contract with Japanese network operator eMobile, following the construction of eMobile's HSDPA network. Under the new agreement, Huawei will provide advanced HSPA technology and will bring the network to Tokyo, Osaka and Nagoya and their surrounding areas. 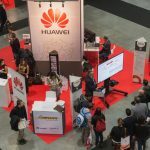 Huawei will deploy more than 2300 distribution Node-B base stations including iDBS to make eMobile's network to cover Tokyo's subway and commercial areas. Eric Gan, president and chief operation officer of eMobile, has told local media that as a main seller of communications products, Huawei provides high quality products to meet the demand of Japanese market and Huawei's IP mobile broadband solution enables them to provide innovative service to their clients and keep a leading position in the Japanese data service market.